Trigeminal and other ganglia are known as sites of latent infection by herpes simplex virus type 1 (HSV-1). In ophthalmology, HSV-1 remains latent in the trigeminal ganglia, and becomes reactivated by several factors, including stress, thermal stimulation, or immunosuppression, and may lead to herpetic keratitis. 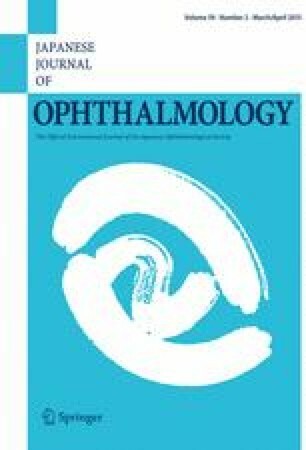 The purpose of this study was to demonstrate HSV corneal latent infection using molecular biology and virology techniques. Six corneas obtained at penetrating keratoplasty were snap-frozen; three of them were with past history of herpetic keratitis. TaqMan Real-time PCR was used to show positive HSV DNA in the corneas. We proved negative homogenate and positive explant virologically. Using real-time RT-PCR, we showed that only latency-associated transcript (LAT) was detected and no transcriptional products of other virus genes (α, β, γ) were detected. All three corneas with past history of herpetic keratitis had HSV DNA and showed negative homogenate and positive explant. LAT was detected in all three corneas. However, α, β, or γ genes were not expressed. All the results of these corneas were consistent with the conditions of corneal latency. The other three corneas without history of herpetic keratitis showed negative homogenate and negative explant. None of them had LAT. We have shown a possibility that HSV can latently infect the cornea aside from the ganglion. This study was supported by the Michiko Kihara Ophthalmic Medical Fund of the Osaka Community Foundation. The authors wish to thank Mrs. Yukiko Mimuro for the editing of this manuscript and Mrs. Mayumi Mizuno for her technical assistance. S. Higaki, None; M. Fukuda, None; Y. Shimomura, None.